WASHINGTON — A procession of law enforcement officers early Sunday escorted the body of Supreme Court Justice Antonin Scalia to a funeral home in El Paso, Texas, where officials are waiting to hear whether an autopsy will be performed. Chris Lujan, a manager for Sunset Funeral Homes, said about 20 law enforcement officers arrived early Sunday morning at the funeral home. The procession traveled more than three hours from the West Texas resort ranch where Scalia, 79, was found dead in his room Saturday morning. Lujan said if an autopsy is requested by Scalia’s family or ordered by a justice of the peace, then an El Paso County medical examiner would likely perform it at the funeral home. Tentative plans call for Scalia’s body to be flown on Tuesday back home to his family in a northern Virginia suburb. 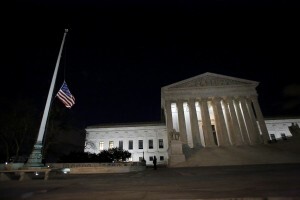 President Barack Obama has ordered flags to be flown at half-staff at the Supreme Court, where Scalia served for three decades, and other federal buildings throughout the nation and U.S. embassies and military installations throughout the world. At issue is whether Obama, in his last year in office, should offer a nomination and the Republican-led Senate should consider his choice for confirmation in an election year. Obama pledges a nomination “in due time.” Senate Majority Leader Mitch McConnell, R-Ky., thinks it should wait for the next president. The Republican resistance to an election-year confirmation got a thorough public airing on the GOP debate stage just hours after Scalia’s companions found him dead in his room at the Cibolo Creek Ranch in West Texas. Republicans argued that Obama, as a lame duck, should not fill the vacancy created by Scalia’s death but leave it to the next president – which they hope will be one of them. The Constitution gives the Senate “advise and consent” powers over a presidential nomination to the Supreme Court. Ted Cruz, one of the two GOP senators running for president, told NBC’s “Meet the Press” that the GOP-controlled Senate is doing its job. “We’re advising that a lame-duck president in an election year is not going to be able to tip the balance of the Supreme Court,” Texas’ Cruz said. “Let’s get on with it,” said Clinton’s rival, Bernie Sanders, arguing that the Senate should vote on whoever Obama nominates. 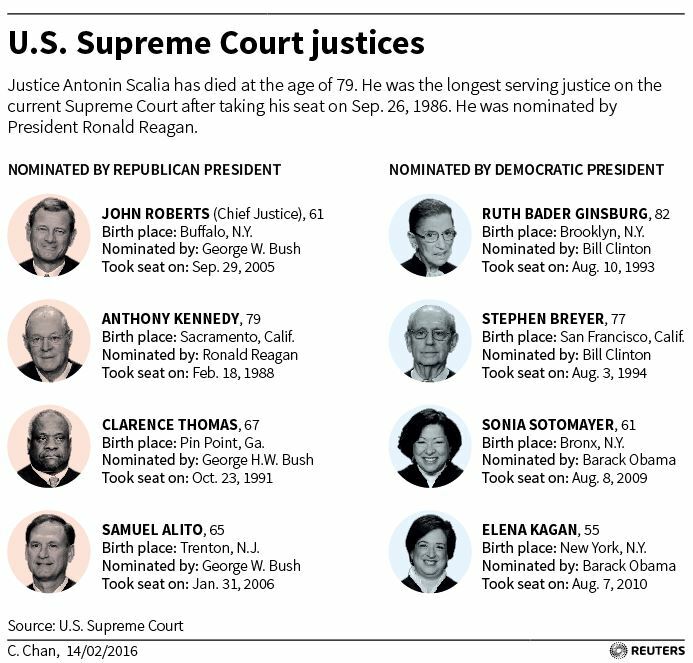 In fact, Justice Anthony Kennedy was confirmed by the Senate on Feb. 3, 1988, in the final year of Ronald Reagan’s presidency, by a 97-0 vote. That was a presidential election year. Kennedy was nominated in 1987 and confirmed the next year. The example of Kennedy, who is still on the court, shows that presidents in their last year aren’t always powerless in shaping the court – and not shy about trying.